One of OPM’s top seven priority areas is: Build a More Diverse and Engaged Workforce. OPM’s Office of Diversity and Inclusion (ODI) is responsible for providing a coordinated Government-wide diversity and inclusion initiative that provides all Federal agencies with strategies and best practices to make all Federal workplaces diverse and inclusive. Address diversity-related concerns consistent with the organization’s philosophy and policy. Foster an inclusive climate that improves organizational performance factors such as speed, efficiency, creativity, innovation, motivation, and corporate image. 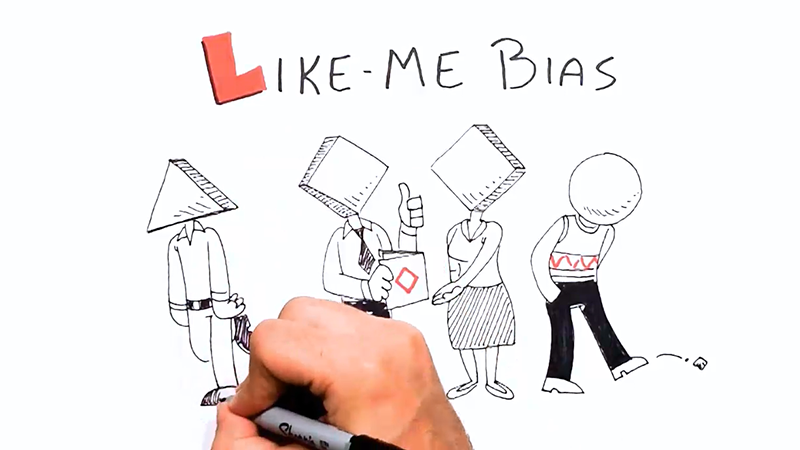 Explore unconscious biases in how employees relate to each other. Leverage inclusive intelligence for engagement, innovation, and collaboration. Learn the five habits of inclusive leadership and the three steps to create new habits. 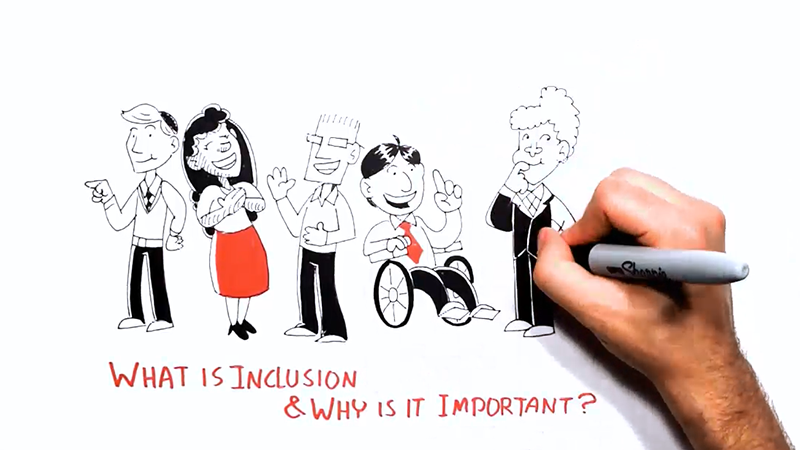 Holiday Plans: Benefits of Diversity Online Animation — This avatar-based story shows why a diverse workforce can lead to a more productive workforce in unexpected ways. What Would You Do? (WWYD) Online Game — This self-exploratory animated game enables users to discover their hidden perceptions that may affect diversity and inclusion efforts. WWYD presents 15 interactions between colleagues. The user chooses between three different responses to the situations and is shown what would happen in each. Who Is On the Team? Online Exploratory Teambuilding Tool — In this self-exploratory tool, the user chooses the most productive team for various workplace projects. Feedback is provided on how the team’s diversity can make the project more successful. The New IQ Live Animate provides the Federal Government with a cost-effective and quick way to educate and encourage Federal leaders and employees to embrace inclusive behaviors that improve employee engagement within their respective workplaces. 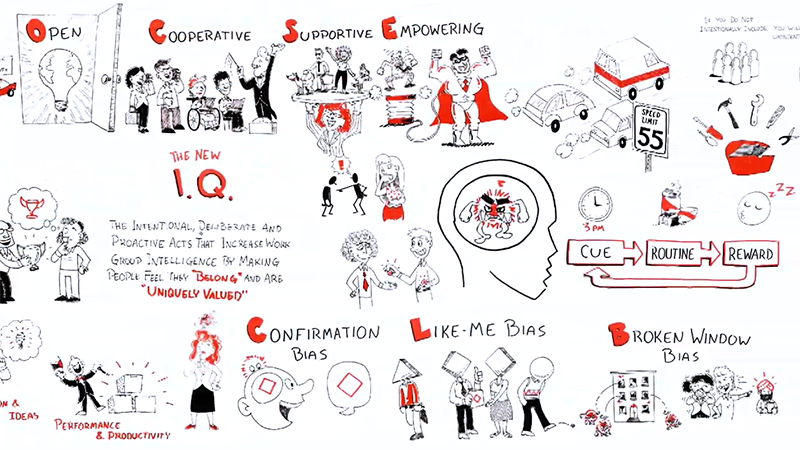 The New IQ Live Animate provides managers with awareness, knowledge, and skill readiness to enable individuals and groups to contribute to their fullest potential. The New IQ Live Animate is available in any format (MP4, HTML link, or YouTube; on a mobile device or a desktop) and can be easily inserted in a PowerPoint presentation. It’s available 24 hours a day on OPM ODI’s website and on YouTube, and since the message is universal, it works as if specifically designed for each Federal agency. The New IQ Live Animate is also simple to use, with universal video controls and the ability to start and stop the message at any time. Additionally, it is accessible for people with disabilities, as it includes a complete script and captioning as part of the file. Approximately 100,000 Federal employees have been educated on the importance of inclusion and its critical role in improving engagement and creativity. The learning animation has received an average satisfaction score of 4.8 out of a possible 5.0 score! 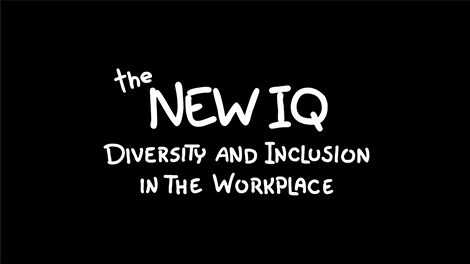 The New IQ Live Animation has been a critical part of the Federal Government’s and the President’s Government-Wide Diversity and Inclusion Executive Order 13583 to build a more engaged and inclusive Federal workforce. Approximately 70 Federal agencies have utilized the New IQ learning animation at no additional cost to the Government. The New IQ Live Animate has been used at numerous Government conferences, seminars, webcasts, workshops, training sessions, and meetings. The New IQ Live Animate is not just available to the Government though; it is available to the public, too, on YouTube (with almost 5, 000 views) and as a direct link on OPM ODI’s public website. OPM’s ODI used the New IQ Live Animate as an integral part of a comprehensive diversity and inclusion training at the Federal Bureau of Investigation (FBI). Because the New IQ Live Animate was designed for use across Federal agencies (through OMBMAX.Gov and on YouTube), and therefore readily available, ODI was able to provide training when and where the FBI needed it. As part of the Department of Justice (DOJ), the FBI employs nearly 35,000 people around the globe. Thanks to the New IQ Live Animate, every FBI employee now has access to hands-on strategies and habit-changing techniques to increase inclusion and diversity at FBI. Because of the success of the New IQ Live Animate, at the conclusion of the training the FBI decided to use the New IQ Live Animate to provide continued training to its staff and added a new live-animated piece on the importance of generational diversity. This training tool is making FBI employees aware of the importance of diversity and inclusion and providing them with specific actions to make a difference in the workplace. Additionally, the New IQ Live Animate has had a significant positive impact on all aspects of Federal employees’ perceptions and engagement. Recent Government-wide agency inclusion scores showed overall improvement in Federal employee satisfaction.